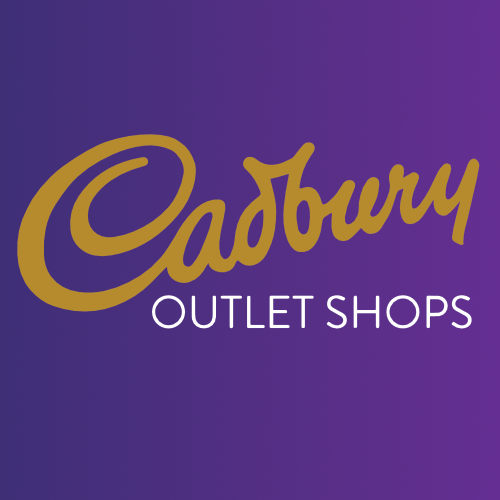 This website is owned and operated by Cadbury Outlet Shops, Freshstores Ltd ( "Freshstores Ltd" or "we"). At Freshstores Ltd, we recognise that visitors to our site may be concerned about the information they provide to us and how we handle that information. The Company is located at 3rd Floor, Maltravers House, Petters Way, Yeovil, BA20 1SP. The legal jurisdiction of this site is England, Wales and Scotland (“Jurisdiction”). On our Site, we collect certain personally-identifiable information, such as name, gender, telephone number and e-mail address, about online visitors who choose to register on our Site or participate in our offers and programs. We don’t require you to register or provide personally-identifiable information to view our site or access much of its content, such as our many delicious recipes. But if you register, you may use certain additional features that allow you to e.g. receive or access your favourite recipes and participate in our interactive communities. Sharing this additional information with us also helps us customise your website experience. In addition, we may use the information you provide us to send you offers and information about Freshstores Ltd, its portfolio of brands and its partners. Here are the ways we collect personally-identifiable information. To take full advantage of our offers, you may choose to register on our site. In the registration process, we sometimes request certain information (such as your contact information and age) so we can provide you with the communications you request, tailor our Site to better meet your needs and customise our contacts with you. Our site contains notices of contests, competitions and games that you can enter. We use the information you provide to conduct the promotion (for example, to contact you if you’re a winner). When you ask us to send you updates, recipes or other content by e-mail, you may provide us with certain information like your e-mail address so we can fulfil your request. When you purchase products or services from Freshstores Ltd, we request your billing information so we can fulfil your request. We use your billing information only to send you the items you ordered. We may give you the opportunity to tell your friends about features or information on our websites. If you take advantage of our ‘Send to a Friend’ option, we ask you for your friend’s and your first name and e-mail addresses to send the information to them that you requested. We don’t keep or use your friend’s e-mail address for any other purpose. We offer visitors to our Site various features for their enjoyment, which we change from time to time. We may ask you to submit certain personally-identifiable information (as outlined in section 3(a)), so we can provide you with these features. You can set your Internet browser settings to stop accepting new cookies, to receive notice when you receive a new cookie, to disable existing cookies, and to omit images (which will disable pixel tags). Note that the opt-out will apply only to the browser that you are using when you elect to opt out of advertising cookies. Without cookies or pixel tags though, you may not be able to take full advantage of all of Freshstores Ltd’s website features. Please see section 8 “Cookies” for further information. in an emergency to protect the health or safety of website users or the general public or in the interests of national security. We may provide you with an “opt in” or “opt-out” mechanism depending on the requirements of the Site’s Jurisdiction and the Site. An “opt-in” mechanism will provide you the opportunity to positively indicate that you would like or do not object to our sending you such further communications and we will not send you any unless you have “opted-in”. An “opt-out” mechanism will provide you the opportunity to indicate that you do not want us to send you such further communications, and if you “opt-out” we will not send you any. Either way, opting-in or opting-out will be up to you and, in addition, if you do not want us to use your personal information for a particular purpose or disclose it to a third party, you may “opt out” at any time by contacting us as provided below. Please note though, by opting-out, you may not be able to participate in certain activities on our websites. We may share personally identifiable information among Freshstores LTD and Freshstores LTD brands and subsidiaries. We may also share the information with service providers we have retained to perform services on our behalf, such as to help run promotions, fulfil orders and provide customer service. These service providers may have access to personally-identifiable information about our website visitors if it is needed to perform their functions for Freshstores LTD, but they are not authorised by Freshstores LTD to use or disclose the information except as necessary to perform services on Freshstores LTD behalf or to comply with legal requirements. In addition, we may disclose information where we think it’s necessary to investigate or prevent an actual or suspected crime or injury to ourselves or others, if required by law, or in response to a request from law enforcement authorities or other government officials. The security of personally-identifiable information is important to us. We maintain administrative, technical and physical safeguards to protect against unauthorised use, disclosure, alteration or destruction of the personally-identifiable information we collect on this Site. However, we cannot guarantee the security of such information. To the fullest extent permitted by law, we disclaim all liability and responsibility for any Damages you may suffer due to any loss, unauthorised access, misuse or alteration of any information you submit to this Site. Please be aware that restricting cookies may impact on the functionality of the Freshstores LTD websites. Please note we may change information on this Site and/or this Policy, at any time without notice. You should regularly review this Policy for any changes. Any changes will be effective immediately upon the posting of the revised Policy on this Site. By continuing to use the Site, you agree to any changes, and by providing continued access to the Site we are providing you consideration for agreement to such changes. Other Jurisdictions: Under 12 years of age. If you have any questions about this Privacy Notice, you can contact us at: Cadbury Outlet Shops Website Manager, 3rd Floor, Maltravers House, Petters Way, Yeovil, BA20 1SP. Alternatively you can call us on 01935 383320 (between 9am and 5pm GMT) and we will be happy to assist you with your query.